2. Follow directions when the teacher gives them. 3. Work quietly. Do not disturb others who are working. 5. Respect school and personal property (such as science equipment). appropriate disciplinary action outlined below. 1. Only use the equipment as indicated by the teacher. presence of potentially dangerous lab equipment and chemicals. 3. Wear your safety goggles at all times in the lab. particular lab depending on how severe the incident is. 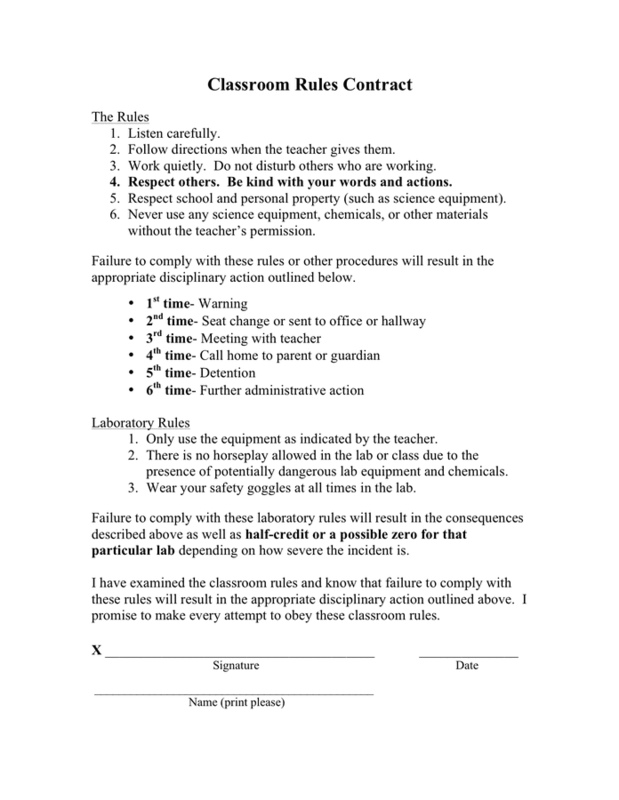 promise to make every attempt to obey these classroom rules.